Plastic surgery is both art and science. An intimate knowledge of anatomy and the facial aging process is required, as well as an acute aesthetic perception and the skillful ability to utilize innovative techniques to achieve the desired results. Dr. Samuels has special interest and specialized training in facial rejuvenation surgery. She incorporates the latest techniques in facelifting, brow and midface lifting and blepharoplasty. She is a recognized teacher of current rhinoplasty techniques in the Louisville area and has achieved the highest level of certification in cosmetic plastic surgery. Because her cosmetic surgery practice sees a large proportion of patients who are requesting facial surgery, these patients are assured a level of expertise that is paramount to a successful outcome. Dr. Samuels believes that patients should also become acquainted with nonsurgical adjuncts which may complement the rejuvenative process, and will be happy to outline and implement an individualized anti-aging program for each patient. In an effort to restore the appearance of their face, more and more men and women are choosing to have facelifts. While facelift surgery does not stop the aging process, it offers ways to improve the effects of sun damage, smoking, and hereditary traits. The majority of the time, facelifts aim to make the person simply look like a younger version of themselves. Facelifts continue to be rapidly increasing in popularity. FaceTite is a revolutionary technology that uses radio frequency energy to tighten and contour the skin through a minimally invasive procedure. FaceTite is perfect for treating areas that require tightening and fat reduction including the neck, jowls, and cheeks and is ideal for patients who do not want or are not a candidate for a surgical facelift. More than any other facial feature, your eyes reveal the most about how you feel. When your eyes are bright and alert, you appear energized, well rested, and in control. However, if you have lower eyelid puffiness, dark circles or drooping upper lids, others may assume that you are fatigued, angry or unhappy. Even the smallest changes to the eyelids can help a patient look more vibrant and younger. A forehead lift or "browlift" can be performed with or without a cheek lift, and rejuvenates the upper face giving patients a more youthful, refreshed look to the forehead and eyes. A browlift correct the sagging or low position of the eyebrows, softens horizontal creases across the forehead, and erases the worries or angry expression that can result from frown lines. The most attractive nose is one that fits your face and is pleasing to you. It is a natural-looking nose that enhances a harmonious balance with your other facial features. Rhinoplasty may dramatically alter one's appearance, and it is also frequently performed to improve breathing. Rhinoplasty is therefore sometimes considered both cosmetic as well as functional, and as such, some patients may qualify under insurance benefits for assistance with the cost of the procedure. Kybella® is an FDA-approved injectable treatment that diminishes your double chin and permanently destroys fat cells with a treatment tailored specifically for you. 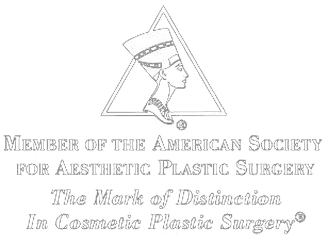 Be the first to know about events, specials and new cutting edge procedures in aesthetic plastic surgery. Of course if you have a question, you can contact us right now. Copyright ©2019 All Rights Reserved | 9419 Norton Commons Blvd. Suite 101, KY 40059 | Website by AD!FX.